Summer has arrived – yippee, and coinciding with the school holidays and a break from work – what could be better! 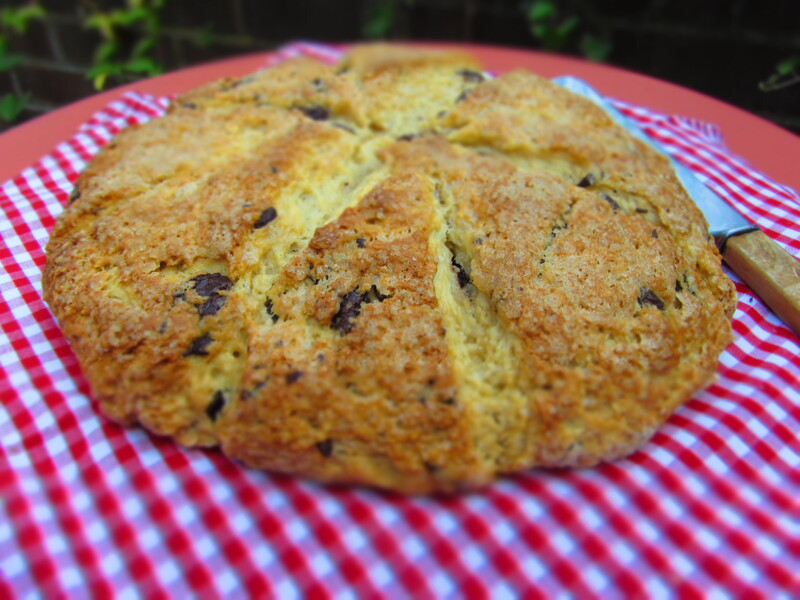 30 degree heat isn’t the kind of weather to be baking cupcakes – so here is an alternative for those hot days, a Chocolate Chip Scone Cake. 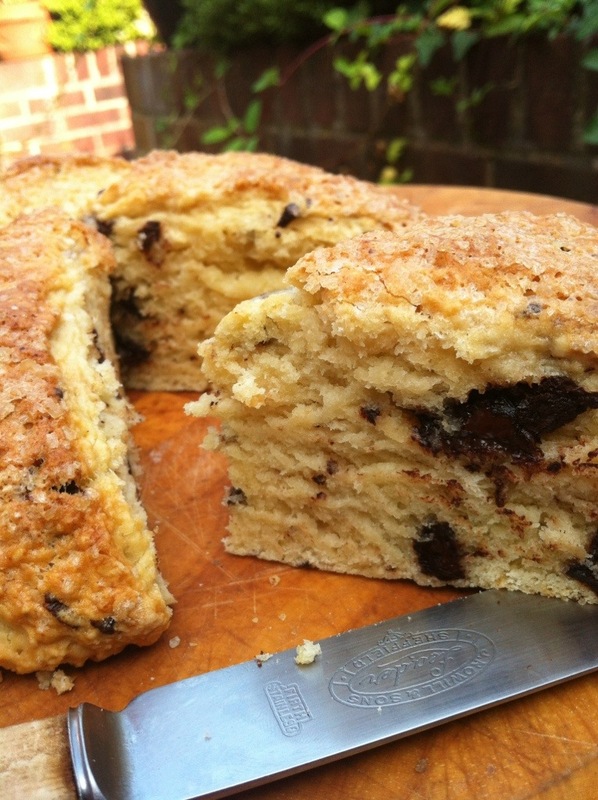 Essentially the same as individual scones but baked in a scored round for visual effect. 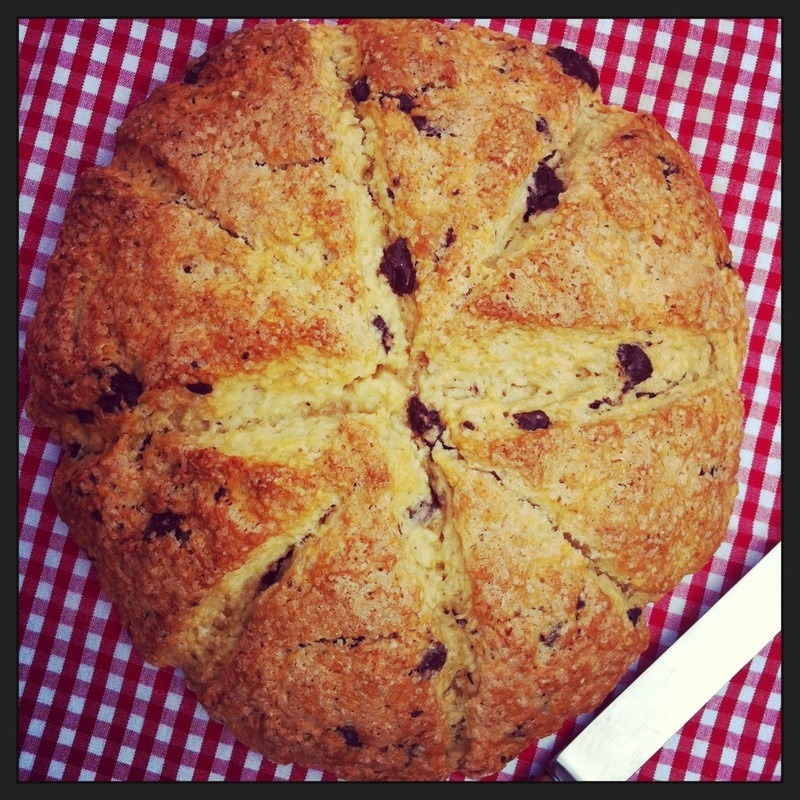 These scones travel much better than cake and so will be perfect on our sunny days out. Serve with dairy-free spread/butter, jam and/or whipped dairy-free cream. – Sift the flour and baking powder into a large bowl. – Stir in the sugar. – With your fingertips, gently rub in the dairy-free spread until the mixture looks like breadcrumbs. – Make a well in the centre and pour in the oat milk and vanilla essence. 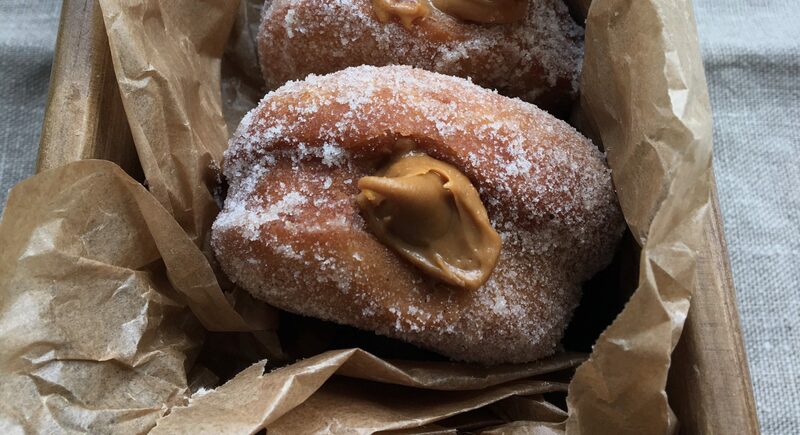 – Bring together to a soft, sticky dough. – Carefully add the chocolate, gently mix in. – Turn onto a floured surface and very gently bring together to a soft, smooth dough. – Pat out with your fingers until 3 cm thick. – Brush the tops with oat milk and sprinkle with the demerara sugar. – Bake for 25-35 minutes, until golden on top. I love scones, I make them all the time. My favorite currently is lemon poppy seed. I made this tasty looking creation a few days ago & it turned out quite nicely & it tasted superb, Lucy!! Really tasty!